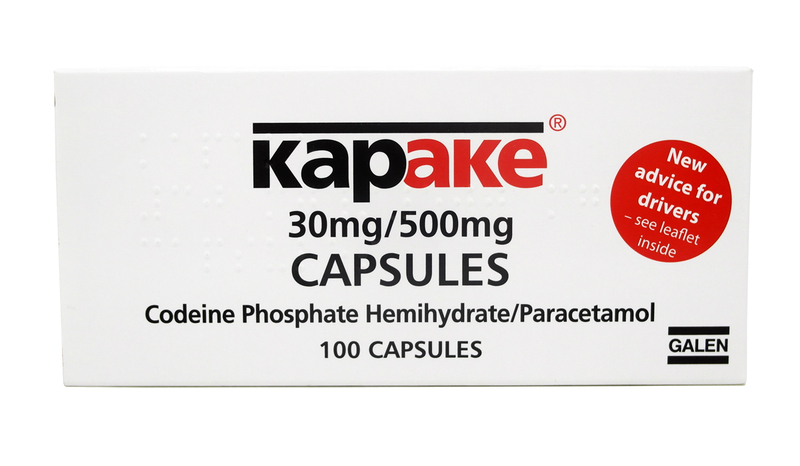 Kapake is a medicine containing the two active ingredients codeine phosphate and paracetamol. This medication is used to relieve severe pain in adults. These tablets contain 30mg of codeine, and 500mg of paracetamol. Can you tell us why you are using Doctor-4-U instead of your own GP or another health service? Have you experienced any of the following symptoms? Have you recently experienced any of these additional symptoms? Please score your current pain out of 10. Where "0" is no pain and "10" is the worst pain you have ever had. It is important that a doctor has previously diagnosed and assessed your condition, please confirm that this is the case. What is your diagnosis? What is the primary reason for ordering this medication? Who made this diagnosis and when (month/year) was it made? Are you currently seeing, or have you recently seen, a hospital specialist? What was the reason for seeing a hospital specialist? What treatment was given? Please use a minimum of 30 words. Have you had any diagnostic investigations for your condition? Please specify and supply more information. Please provide a pain history. Have you previously tried any over-the-counter pain medication? Have you taken this medication before? Are you taking, or have you recently finished taking, any non-prescription medication (e.g. over the counter medicine) or herbal remedies not already mentioned? What other prescription medication have you tried so far to relieve your pain? Have you taken opiates before? How effective were they? Have you tried any other therapies or treatments? Are you currently doing any exercise to help your pain? Are you under the care of a psychiatrist? Are you drinking alcohol every day? Please supply more information. What, and how much, do you drink? Have you ever experienced difficulty stopping pain relief medication? Do you have a history of drug or alcohol dependence? Do you have parental responsibility for children under the age of 16, or are you a carer? Please supply more information. What are your caring responsibilities? Please use a minimum of 1 words. On average, how many opioid tablets do you need to take per day to control your pain? Are you aware that opioid medication can cause dependence and addiction if not used as directed? Please confirm that you have read and understand our Opioid Policy. What are Kapake Tablets and what do they do? Kapake relieves pain through use of its two active ingredients. Paracetamol relieves pain and provides an antipyretic effect, meaning that it helps to lower raised temperatures and fever. Codeine on the other hand, which is an opioid, relieves pain by binding to opioid receptors in the brain. This affects how the brain interprets pain and reduces the overall feeling of pain. Can I buy Kapake over the counter? No, Kapake is a Prescription Only Medicine, sometimes referred to as a “POM”. What this means to you is that you need a prescription from your GP or another registered doctor to obtain it. Doctor-4-U works closely with a team of registered doctors to offer you a convenient way of requesting prescriptions online. For over the counter pain relief, you may want to discuss your options with your local pharmacist as there are several options available to help you manage your pain. When are Kapake Tablets prescribed? Kapake is primarily prescribed when over the counter painkillers have provided little or no relief. It may be prescribed to relieve short term discomfort and fever caused by headaches, migraine, back pain, period pain or other pain as advised by your GP or doctor. Please note, prolonged use of Kapake Tablets may lead to tolerance and dependence. It is important that you consult your own doctor before stopping your treatment or before adjusting your dose. Are Kapake Tablets suitable for my condition? If you are allergic or sensitive to paracetamol, codeine or any of the other ingredients listed in the patient information leaflet. If you are breast feeding. If you suffer from severe kidney or liver disease. If you know or has been told that you rapidly metabolise codeine into morphine. If you suffer from breathing problems, such as asthma. If you drink a lot of alcohol or drink alcohol every day. If you have recently had a gallbladder operation. It is important that you inform our doctors of any other medication you may take, including non-prescription medicine, when you request your prescription. Please include this information when you fill in the medical questionnaire. If you are unsure whether Kapake Tablets are suitable for you, always consult your doctor before use. What is the recommended dosage of Kapake Tablets? You must follow the doctor’s instructions on how to take this medicine. The doses outlined below is for your reference only. Swallow the tablets whole with a glass of water. Never exceed the stated dose. Do not combine Kapake Tablets with any other medicine containing paracetamol. Take 1 - 2 tablets every four to six hours. Do not exceed 8 tablets in any 24 hour period. Does Kapake Tablets cause any side effects? Yes, just like all medicines Kapake may cause side effects in some users. It is important that you read through the patient information leaflet before use so that you are familiar with the sort of side effects this medicine may cause you. Dizziness, sleepiness and/or light headedness. Please note, prolonged use of Kapake may lead to addiction. Ask your local pharmacist or GP for more information on Kapakel and addiction. Yes, you can reduce the risk of experiencing side effects by letting our doctor know about any other medicines you may take, along with any other health conditions you may have when filling in the medical questionnaire. You are also advised by the doctor to not drink alcohol while taking Kapake as alcohol may increase the risk of side effects and may cause drowsiness. How do I buy Kapake Tablets online? The only legal and safe way to buy Kapake tablets online is by using a registered and regulated service, such as Doctor-4-U. Our service allows you to request a private prescription from our registered doctors by filling in an online medical questionnaire. If your request is deemed suitable, a prescription will be issued and sent electronically to our dispensing UK pharmacy. If the doctor considers your request as unsuitable, your will be issued a full refund for your order. 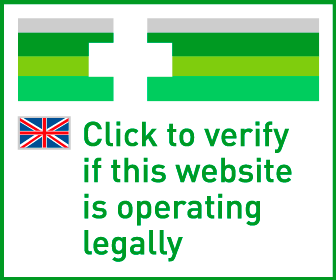 Your medicine is sent by fully tracked delivery using discreet, plain packaging to your address. Your medicine is usually dispatched from our pharmacy within 24 hours after ordering. Below information is for your reference only. If you believe you may have developed an addiction, please contact your GP or local drug treatment service. Take ONE up to FOUR times daily. Please DO NOT exceed SIX tablets in 24 hours. DO NOT take with any other opioid or paracetamol containing medicine. CAUTION: Can lead to ADDICTION if misused.